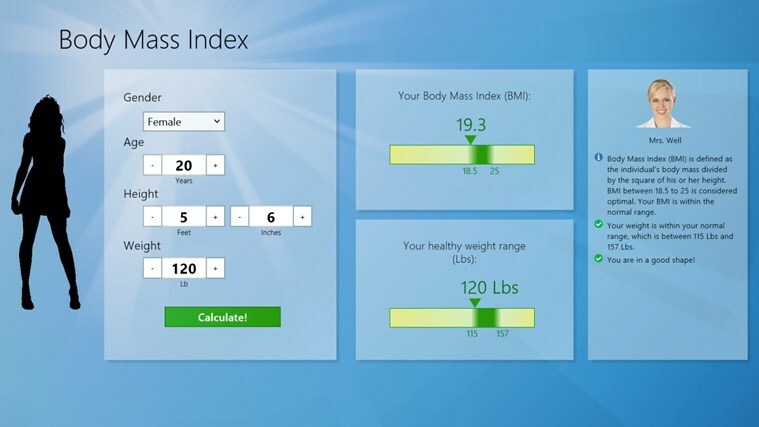 By far the most versatile and smart BMI Calculator for Windows 8! Works for adults, children, and even babies! Determine your Body Mass Index (BMI) and your ideal weight range. 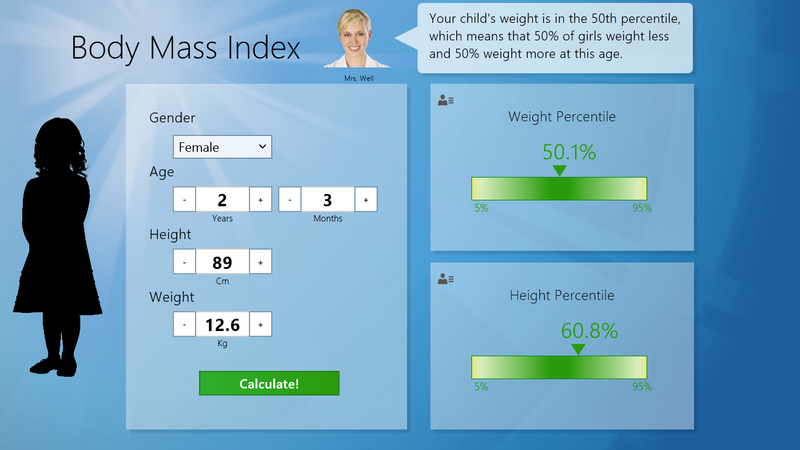 Check weight & height percentiles for your child, according to cdc.gov growth charts. The app supports both Metric and US units.